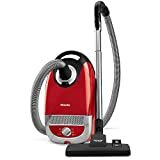 What is the Best Vacuum Brand for Your Budget? Vacuums come in a lot of price ranges. You can spend $50 on a low-end vacuum, or you can spend $500+ for a high-end vacuum that will last for years without an issue. Good Housekeeping lists several different types of vacuums. There are uprights, bagless, handheld, stick and other vacuum types to consider. No matter your price range, there is a vacuum out there that will meet your needs. The brands below don’t include every brand on the market, but they do include the best brands in each of their respective categories. Budget vacuums are inexpensive, and the major concern is durability. You’ll find that some models break in months, while others last for years. Durability and quality should be your main concern when choosing a budget vacuum. Eureka offers classic upright, lightweight and central vacuum systems in the budget price range. The company’s products are affordable because they offer all original and replacement parts that they manufacture. The company’s products have been refined over 100 years, making them one of the older vacuum companies. Quality and durability shine with the Eureka brand. All products in the company’s lineup feature a one-year warranty at a minimum. Some items do have a longer warranty. Allergens are kept at bay in several ways: filters or specialty exhaust filters. When you choose Eureka, you’re getting a vacuum that has at least a one-year warranty. Eureka’s patented technology also ensures great suction power on even their cheapest vacuum models. 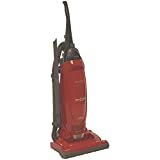 Bissell vacuums have been around since 1876, and the company incorporates their wealth of experience into every vacuum cleaner that they build. The company is known for their pet cleaning vacuums – a major asset to any home that has pets. The company’s budget lineup features upright vacuums, deep clean models and everything in between. Bagged and bagless vacuums are also available along with vacuums that are specially made for pet cleanup. The Bissel company’s array of vacuum types makes it a great choice for the entire home. And their vacuum cleaners are a great choice for large areas and rooms. Corded and cordless models make cleaning small spaces or hard-to-reach places easier. The company also offers products that are ideal for everyday cleanups. We recently wrote an article that compares a number of Bissell’s top models, you can read it here. You’ll also find that Dirt Devil offers carpet washers and hard floor cleaners. The company is best known for their handheld vacuum, which revolutionized the carpet cleaning industry. Dirt Devil introduced their original handheld vac in 1984. Dirt Devil tries to incorporate a lot of tools into the design of their Dirt Devil vacuums. The company’s vacuums often include crevice, pet and other tools that make cleaning your entire home a breeze. Mid-range vacuums offer greater suction power, advanced features and come from some of the industry’s biggest name brands. Even Dyson, one of the best in the vacuum industry, offers vacuums that fit properly in the mid-price range. There’s also a performance challenge and VIP warranty. 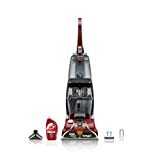 The company is well-known for their lift-away products that allow you to transform an upright vacuum into a handheld model at the click of a button. You’ll find a lot of affordable upright models in the company’s lineup that can transition from bare floors to carpeting without needing to be adjusted. There’s also a series of ultra-lightweight vacuums by Shark that are ideal for small apartments and homes. DuoClean models feature immense suction power and lift-away options. Dyson is a company that completely changed the way people use vacuums. The company’s main feature is its cyclone technology. Through the use of cyclone technology, Dyson can pick up more dirt and microscopic dust than competing models. You won’t find this power in other upright models. Dyson also features ball. This “ball” is the way that the vacuum canister attaches to the tank. When the user goes to maneuver the vacuum, the ball allows for easy turns and maneuverability even in tight corners. It’s an advanced version of a swivel, and it’s arguably the best in the industry in terms of easy maneuvering. And Dyson offers a free 5-year warranty. It’s hard to beat this level of quality and assurance that their vacuum will stand the test of time. Wands are also incorporated into the vacuum’s design to allow for a long reach and a smooth clean. Self-adjusting cleaner heads are also featured in upright models that will seal in the suction power to remove dirt and dust from every inch of your carpet. Are you struggling to compare the Dyson models? We have an in-depth guide here. 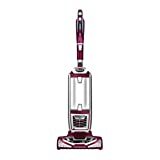 Again, Hoover has so many different models and vacuum series that it’s difficult to list the features that all of their vacuums provide. The company is known for their WindTunnel technology, which has been advanced in the past few years. Just like Dyson’s cyclone technology, the WindTunnel technology lifts more dirt and debris from your carpet than competing models. 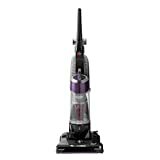 Accessories are included with a lot of Hoover models that make cleaning ceilings, pet hair and crevices easier. Newer models also offer convenient features, such as retractable power cords, filters and consistent suction technology. Hoover remains one of the top brands in the mid-range. Panasonic does a lot of things, but a lot of people don’t know that the company also offers vacuums. The company has been in existence since 1918, and it wasn’t until the Second World War that they introduced their vacuum tubes. When you choose Panasonic, you’ll find that the company focuses primarily on upright vacuums. A lot of the models are basic, but there are some high-end models, such as the JetForce, which are packed with features. Panasonic’s lineup of vacuums provides powerful cleaning for all homes. The key thing to remember is that the company offers a limited selection of vacuums. But the vacuums that they do offer are all well rated. And if you want a handheld model, Black & Decker offers very affordable handheld vacuums. The vast array of products in the company’s lineup means that there are features that some models or types offer that others don’t. Black & Decker is known for their moderately-priced power tools that are durable and versatile. The company has taken this same concept and incorporated it into their vacuums. Black & Decker’s vacuums offer an array of features at an affordable price to consumers. 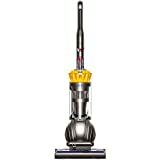 There are cheap and mid-range prices for vacuums, and while these vacuums have a place in most homes, top-end vacuums offer a lot more. You’ll pay more for high-end vacuums, but the quality level and suction power at the top-end can’t be matched. And these are the vacuums you would expect to see professional cleaners use and people willing to spend a little more to ensure that their flooring is perfect. Miele offers premium products that excel against the competition. The company’s vacuums, often including canister options, come fully equipped with an air clean sealed system, which keeps dirt and debris from entering the air. Sealed technology also means you’ll enjoy greater suction power from the vacuum. The low- and high-pile options allow for cleaning regular carpet and high-pile, ultra-soft carpets. Miele backs most of their vacuum models with a seven-year warranty, so you’ll be confident that your vacuum will last for years to come. Miele’s vacuums may not be the best-looking models on the market, but the company’s multi-stage cleaning is one of the best in the industry. If you’re thinking about buying a Miele you may want to check out our comprehensive guide to all of the Miele models. The company was founded by two engineers with the goal of creating a cleaning system that the world has never seen. Sebo now offers commercial-grade vacuums that are used by some of the top cleaning companies in the world. Electronically superior, Sebo vacuums come with on-board tools and retractable cords. The company’s vacuums offer extra attachments for pet owners, and the electronic height adjustment makes bending over to vacuum a thing of the past. These vacuums are so advanced that some of them have Hospital-grade S-class filtration. Filtration of this level is 99.9% effective and keeps microns to just 0.3. Oreck’s reputation for offering the finest vacuums available came from the vision of David Oreck. David wanted to develop a vacuum that is powerful and lightweight. The reputation of the company remains the same today. The company’s vacuums look basic on the outside, although Oreck has tried to change that in recent years. Oreck’s prices are more in the mid-to-top price range, but the quality they offer deserves to be listed among the best in the industry. The vacuums offered by the brand might not be the most aesthetically pleasing, but they will last for years without an issue. When it comes to choosing vacuums, the brands above have something for every budget and need. 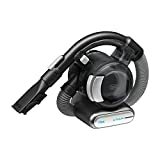 Even the cheaper models have a lot of advanced features and ample suction power to make quick work of dust and debris.